Home Real Estate For Sellers The Top Reason to List Your House For Sale Now! List Now – This is a HOT Seller’s Market! It’s basic supply and demand. There is high demand, and not nearly enough supply to keep up with it. Many homes sellers are finding themselves in a multiple offer situation – there are several buyers vying for the opportunity to buy their home, with a variety of different types of offers. If you’re considering selling your home, that should be music to your ears, and all the motivation you need to list your home! 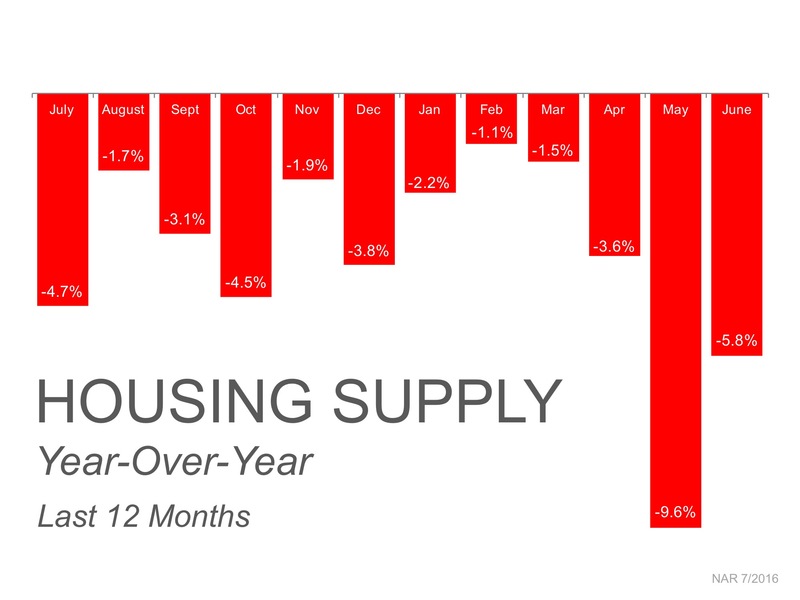 This remains lower than the 6-month supply necessary for a normal market and 5.8% lower than June 2015. List now and get the best results! Let’s get together and discuss the supply conditions in your neighborhood. I would love to assist you in listing your home and gaining access to the buyers who are ready, willing and able to buy now!